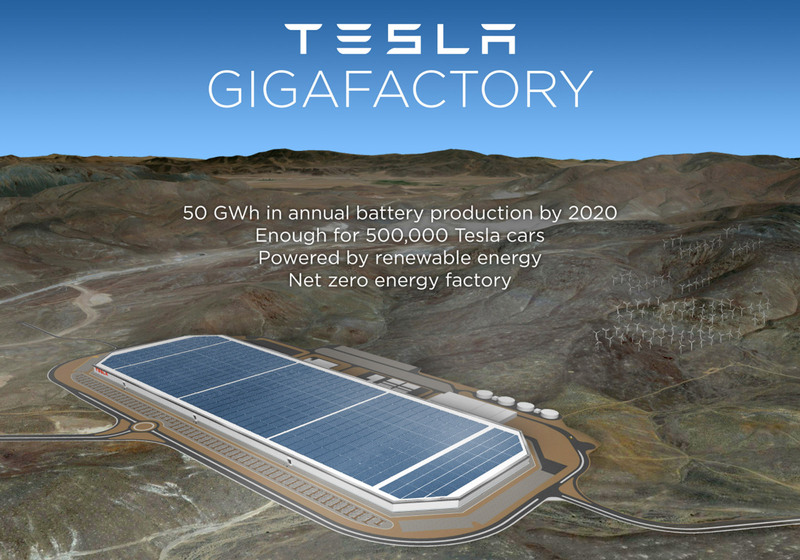 Most of us are content to simply know that the Tesla Gigafactory is going to be big… huge, even. How huge? It hadn’t crossed my mind to even put it in perspective. No matter how big it is, the size is going to be fairly incomprehensible to me. However, everything is better with a bit of perspective, and a Tesla investor and redditor recently decided to add a bit of perspective with a graphic comparing the Gigafactory to a bunch of large towers an such. With feedback from members of the reddit community, he then had a better idea for how to put the Gigafactory into perspective, so he created another graphic comparing it to other large things… and a banana. Both graphics are below (sources here and here, respectively). If you want to join in the reddit discussions, they are here and here. Though, be forewarned: a lot of them are jokes, and a lot of the ones in the second link are jokes about the banana in the graphic… or other bananas. It will be somewhere between 5 million square feet and 10 million square feet. It will be 1-2 stories tall. With such huge ranges, it’s hard to nail down the what actual dimensions of the factory will be, but I didn’t want to make multiple images. So what is pictured could be either a 5M sq ft factory with one floor or a 10M sq ft factory with two floors. I assumed a 1:2.5 dimension ratio which is shown in the recent renderings. I got a 3535 ft (1077 m) x 1414 ft (431 m) footprint using the knowns above. I fudged the length in the graphic a little to 1100 m to account for the beveled corners.